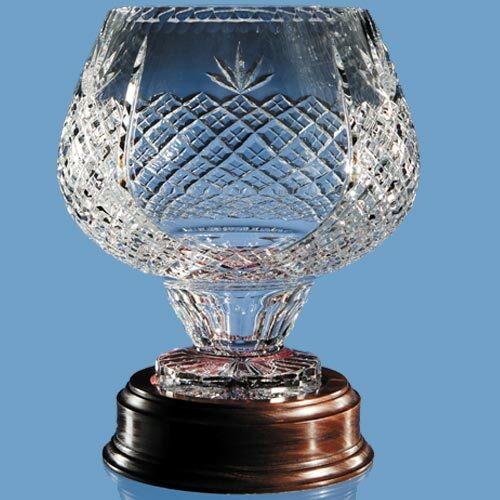 The 27cm lead crystal Ambassador vase is hand cut and polished with an engraving panel for any personalisation that you may require and is ideal as a retirement or presentation gift. The mahogany base compliments the vase and is perfect for display purposes. The price shown is for the bowl only, the wood base should be ordered seperately.